Is TazerBall real? WTF? I’m so confused. 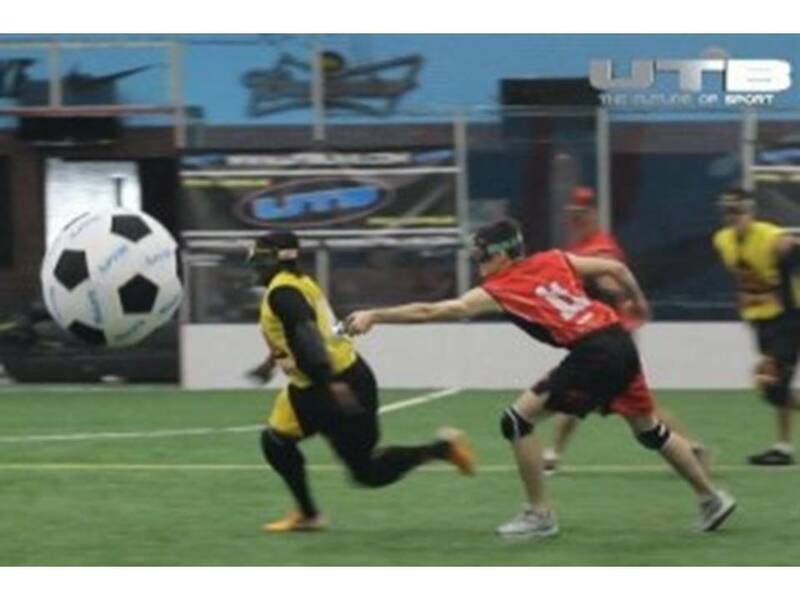 I keep seeing clips of Ultimate TazerBall everywhere but I’m too stupid to figure out whether or not it is a joke. It has to be a joke, right? I keep hoping (praying) that it is real but it can’t be. HOW WOULD THERE NOT ALREADY BE A TAZERBALL CHANNEL? For those that haven’t seen it yet it kind of looks like rugby and/or soccer except the ball is huge and the players all have tazers. I think EVERYBODY should have tazers. Name one thing that wouldn’t be better with tazers? Work? If I could tazer people at work that would be awesome. (People who are tazered have short term memory loss and can’t remember who tazered them right?) Long line at the DMV? Not after I tazer 12 people. Being tazered would be awesome too. There are many situations where I would PREFER to be out cold: on a plane, on the T, all day at work or waiting for a table at a restaurant. Basically anytime I’m not watching TV, doing it or eating. I also love how Ultimate TazerBall uses the huge ball. It’s like the ball from Raiders of the Lost Ark. I think Soccer called and complained that their sport was way too similar and they were infringing on some kind of copyright. And then TazerBall was like, “Well, we have tazers.” And then Soccer was like ”Hmm. I see. But could you at least use a different ball?” TazerBall: “Done.” When Pittsburgh gets a team we could call them the Pittsburgh Thunderbolt. An homage to the ride. Classy. The tazer would lend a whole new element to all the diving that goes on in soccer, because they player would have to lay on the ground and twitch all over the place. And possibly wet himself.